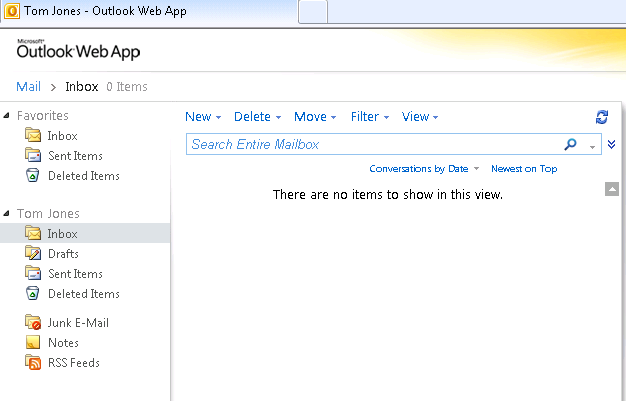 ExchangeResource.corp hosts all the Microsoft Exchange 2010 servers, and linked mailbox accounts. 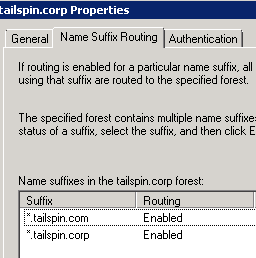 The actual user accounts are stored in the Tailspin.corp and Mantech.corp forests. 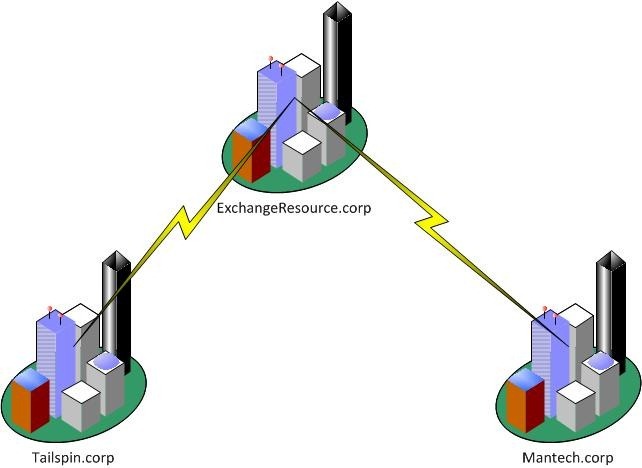 The Tailspin.corp and Mantech.corp forests have a one way forest trust with ExchangeResource.corp so that users in the Tailspin.corp and Mantech.corp forests can access their linked mailboxes in the ExchangeResource.corp domain. 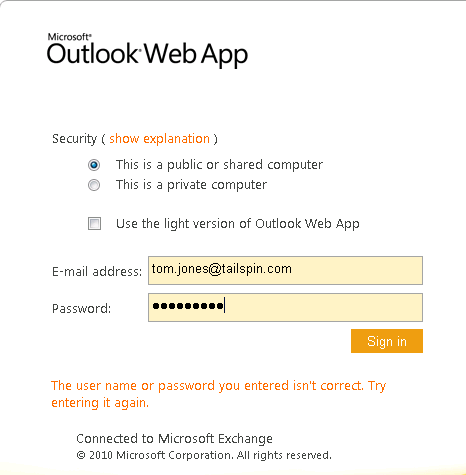 This will allow users in Tailspin to login using username@tailspin.corp and users in Mantech to use username@mantech.corp. 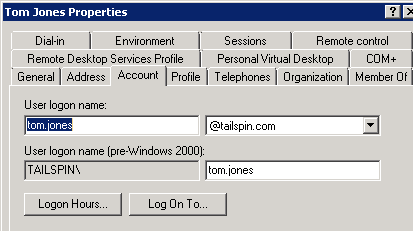 Now users in Tailspin login using username@tailspin.com and users at Mantech login using username@mantech.com. 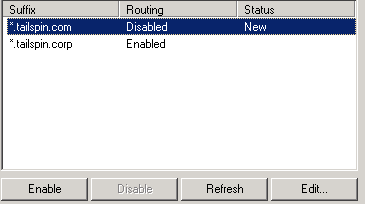 But using the old UPN still works fine, so what’s going on? 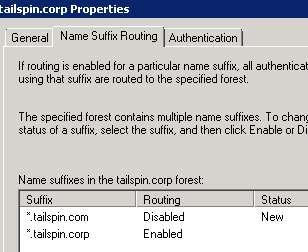 If you do not see the new suffix you created listed here, simply click the Refresh button and it should appear. 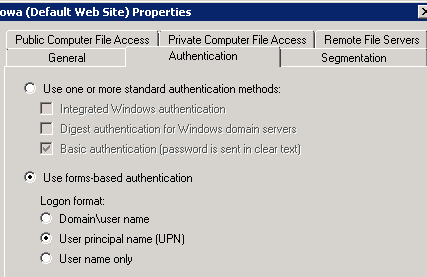 Now if a user try’s to login, they should be all set! 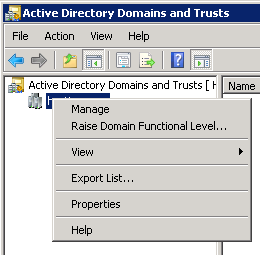 Keep in mind you will need to do this each time you add a new UPN Suffix to one of the domains that are being trusted by ExchangeResource.corp.